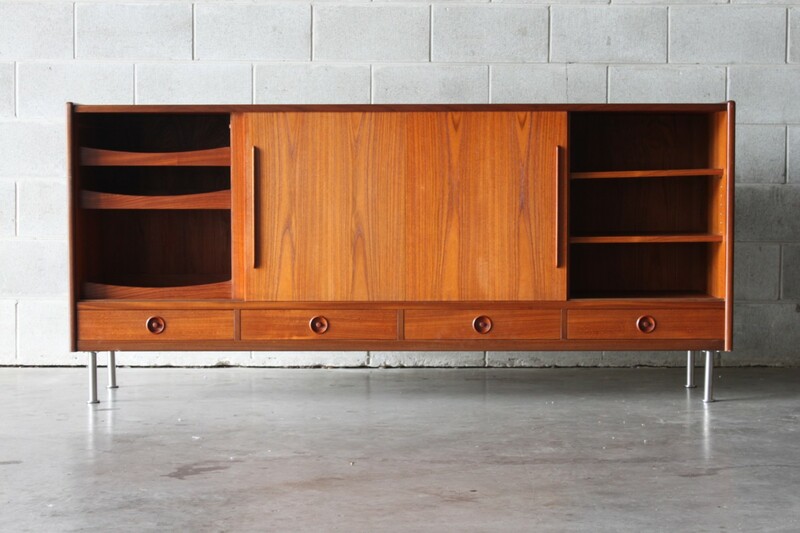 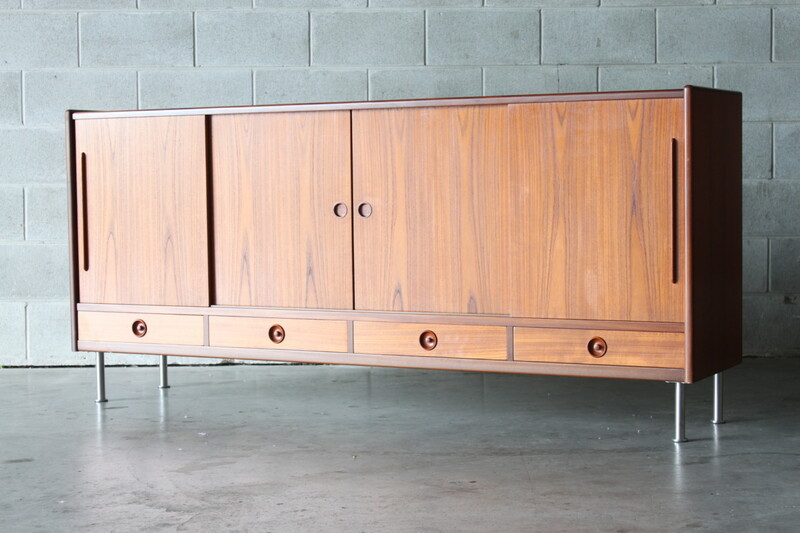 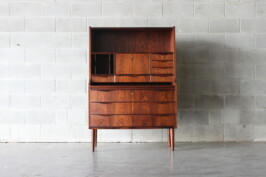 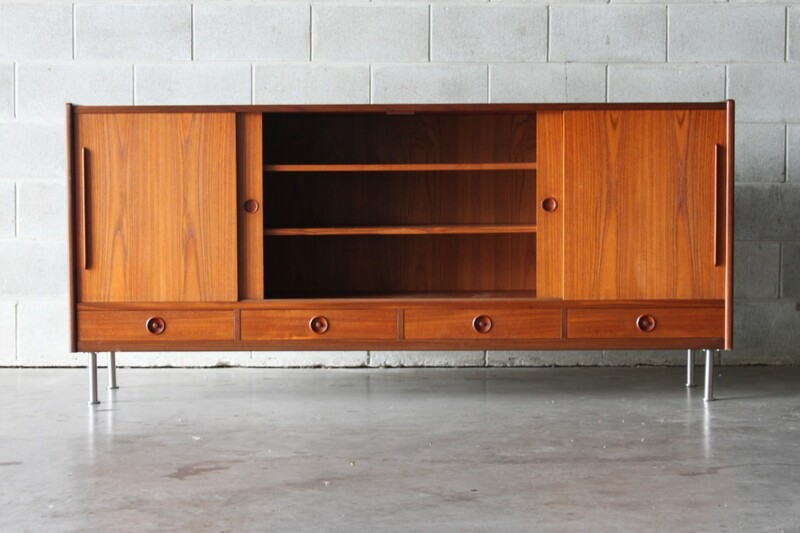 A nice Danish teak sideboard by Holger Christiansen with plenty of storage space and adjustable shelving. 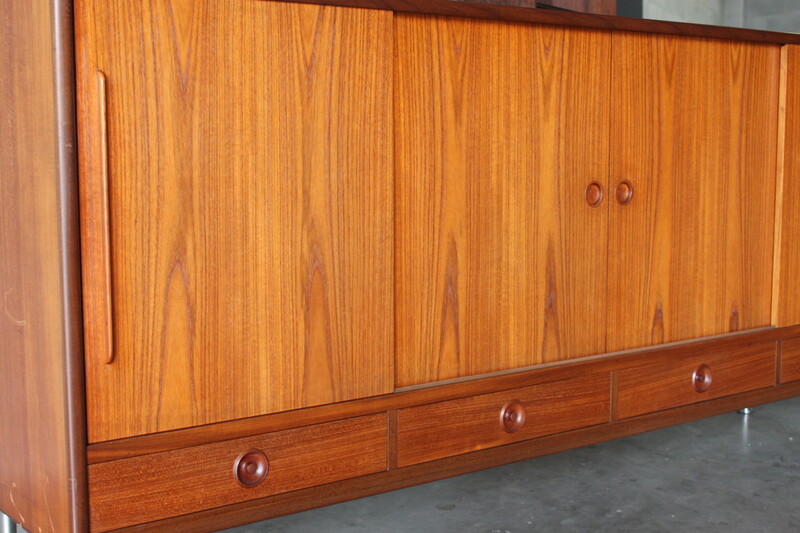 To the right are some pull out drawers and along the bottom are more drawers with nice detailed handles. 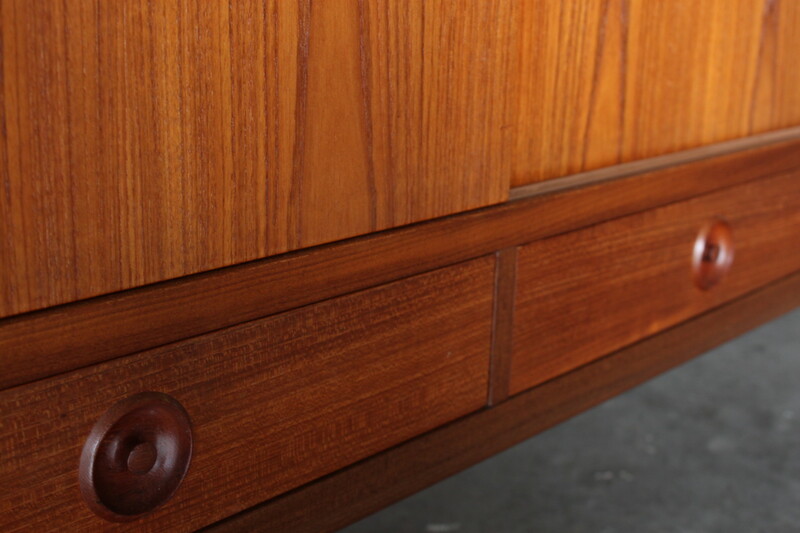 Dovetail joinery to the drawers and all doors and all drawers work with ease.